I had the best day today. I usually have good days, but today was extra nice. It was a bit yucky outside today and I had the day all to myself. So I spent it with my two best friends, Jimmy (my Dog) and Mia (my puss cat). 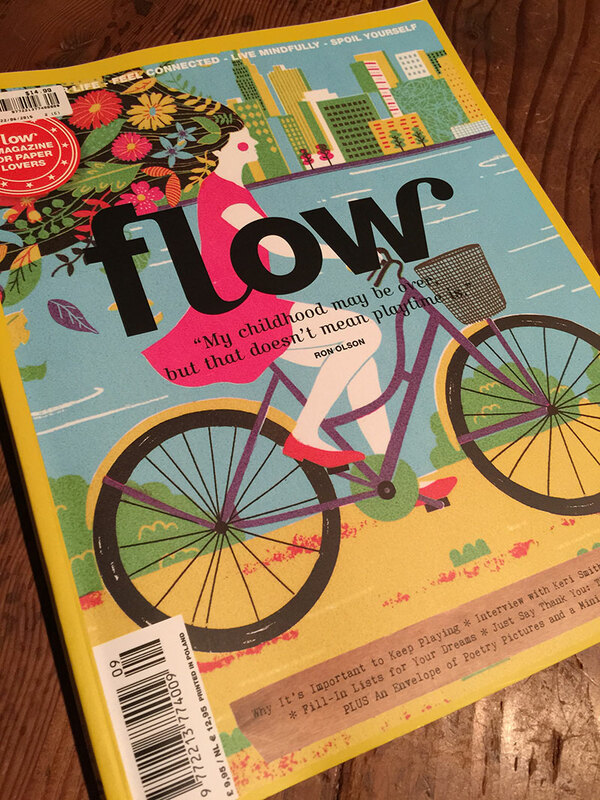 A few weeks ago I treated myself to a new magazine called Flow. I made myself a coffee and curled up on my chair and read it from cover to cover. I couldn’t put it down. It’s a brilliant magazine. It’s so full of inspiration and good thoughts. There are also lots of paper goodies and other nice things. If you only get to splurge on one magazine this month, do yourself a favour and buy it. I can’t tell you enough how inspirational it is. Especially when you’re having a creative block or if life in general is just getting to you cause you never seem to have enough time. I promise you will feel uplifted after reading Flow. After you read it you will understand why I just had to share this. If anything its helped me get out of my shlump of not blogging. I never know what to say and I think it needs to sound cleaver, but really I just want to chat about craft, Show and tell things I have made and hopefully see what you are all making. So I’m going to try more.